The problem is a new DMARC (Domain-based Message Authentication, Reporting and Conformance) “reject” policy advertised by Yahoo to third-party email servers, said John Levine, a long-time email infrastructure consultant and president of the Coalition Against Unsolicited Commercial Email (CAUCE), in a message sent to the Internet Engineering Task Force (IETF) mailing list Monday. Over the weekend Yahoo published a DMARC record with “p=reject” essentially telling all receiving email servers to reject emails from yahoo.com addresses that don’t originate from its servers, Levine said. With the new policy, when a Yahoo user sends an email to a mailing list, the list’s server distributes that message to all subscribers, changing the headers and breaking DMARC validation. List subscribers with email accounts on servers that perform DMARC checks, such as Gmail, Hotmail (Outlook.com), Comcast or Yahoo itself, will reject the original message and respond back to the list with automated DMARC error messages. 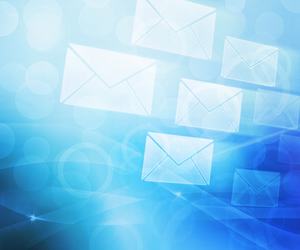 Yahoo published a help page with information on how its new DMARC policy affects third-party email service providers. A test of Yahoo’s DMARC records Tuesday done with a tool on dmarcian.com revealed that the “p=reject” setting was still in place for the yahoo.com domain. By comparison, gmail.com had a policy record of “p=none,” meaning it doesn’t tell other email servers how to handle messages from gmail.com addresses that fail DMARC checks. Laura Tessmer Atkins, co-founder of email anti-spam consultancy firm Word to the Wise based in Palo Alto, California, also confirmed and documented the issue in a blog post Monday. She believes that Yahoo began advertising a “reject” policy because of a recent attack against Yahoo users that involved attackers compromising yahoo.com email accounts and sending unauthorized emails to their contacts. DMARC.org, the industry group that oversees the development and adoption of the DMARC standard, did not immediately respond to a request for comment about the Yahoo situation. However, the frequently asked questions section of the group’s website acknowledges the interoperability problems mailing lists can have with DMARC and offers some recommendations. Updated April 9 with a comment from Yahoo.